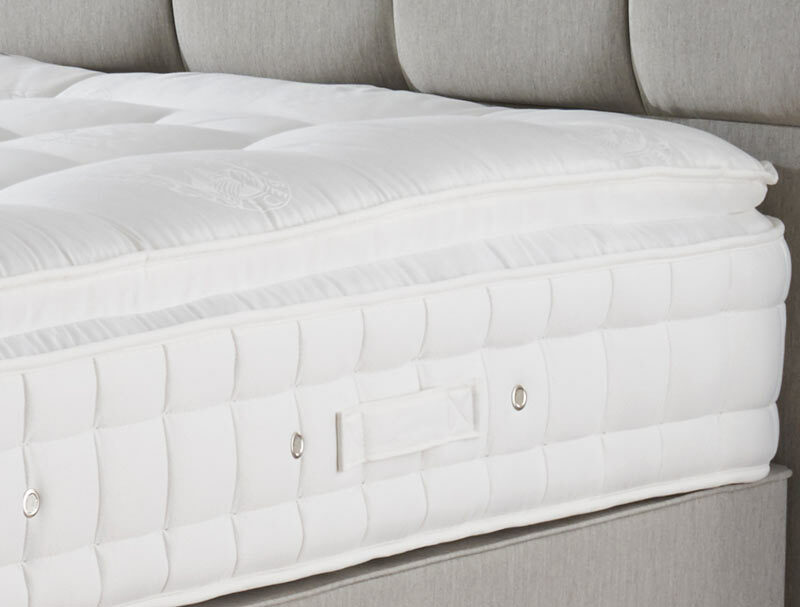 The Hypnos Pillow Top Aurora will replace the Pillow Top Pearl and provides a sumptuously soft and breathable cushion of wool and Solotex fibre above the supportive pocket spring. 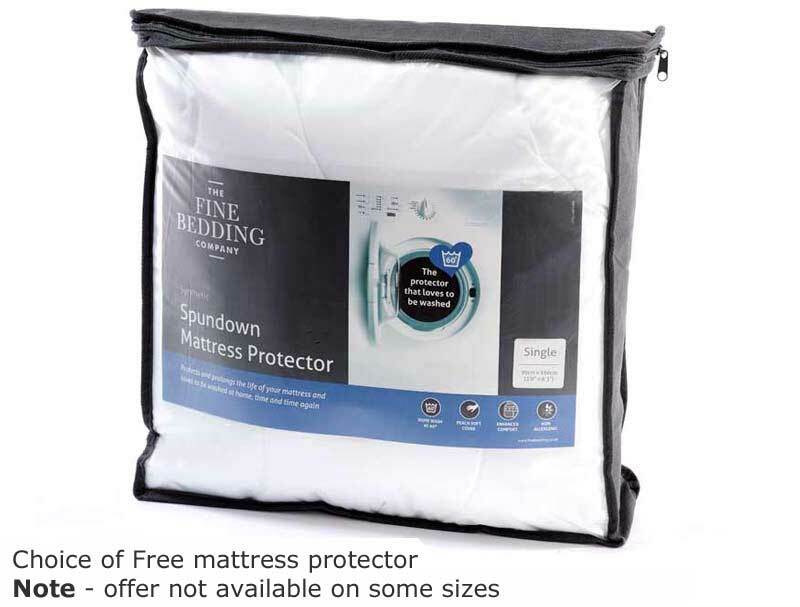 The new soft damask cover benefits from a patented 37.5 Reactive technology, which helps keep the body temperature stay in the perfect comfort zone for the most comfortable night’s sleep. 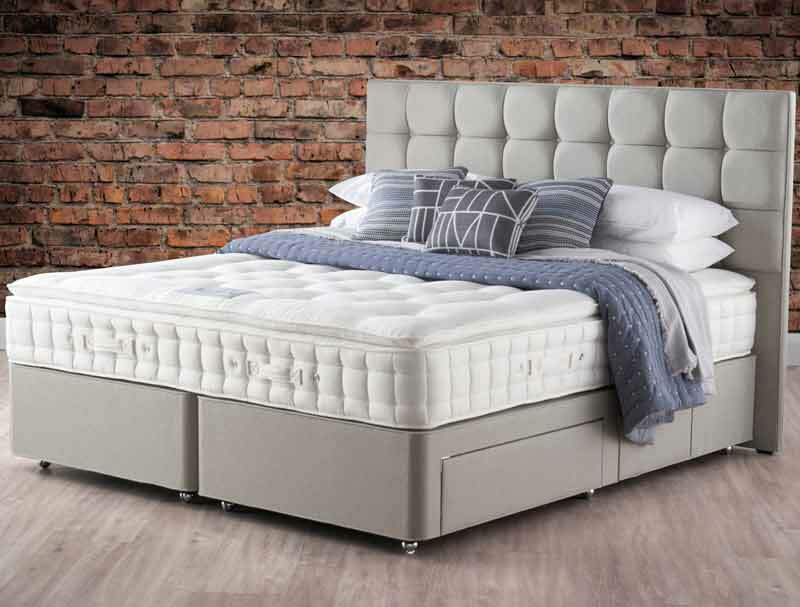 This luxury no turn pillow top mattress features a ReActive™ pocket spring system, where each ReActive™ spring has 6 active turns which independently and actively senses your shape and weight distribution, providing comfort and total spinal and body support. 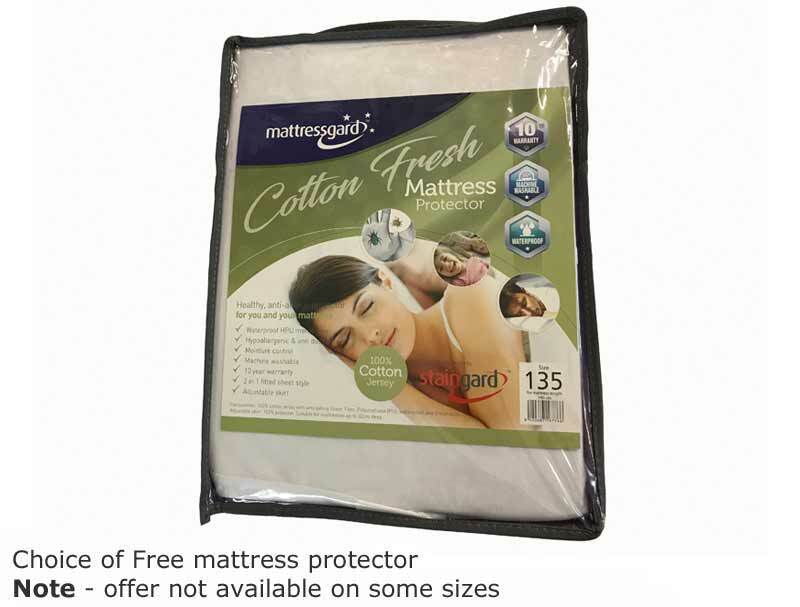 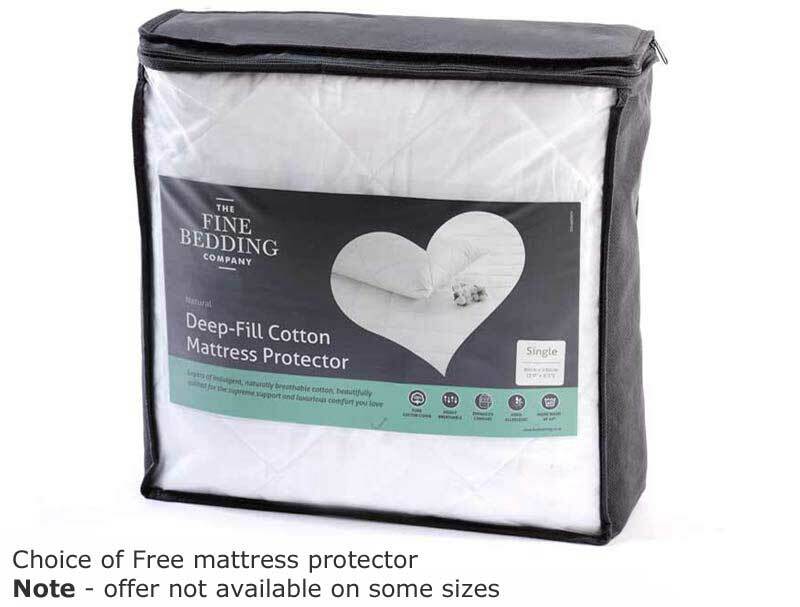 The mattress is further enhanced with 2 rows of hand side stitching which helps support the edge, giving less roll off and a wider sleeping area. The Belgian damask top cover is infused with a Chemical free based treatment for added peace of mind to meet fire retardancy requirements. 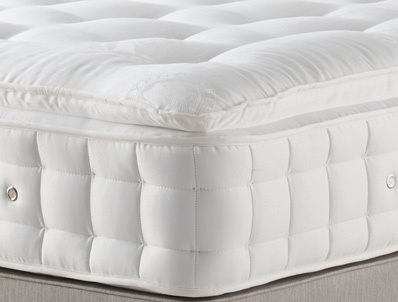 This mattress, like all Hypnos mattresses comes with a Hypnos 10 year guarantee.